If there is one thing that has been proven over and over and over again since the beginning of man, it is that when we are no longer burdened by the pesky desire for survival, when our mortal doom isn’t a primary focus of our thoughts, we are pretty creative species, especially when it comes to items and things that are not primary to survival. You will not find an industry where that is truer than the fashion industry, where once we figured out a way out of the whole covering up against harsh weather and exposure to diseases, clothing became a statement of creativity, power and wealth. All thanks to famous fashion designers, we moved beyond dressing to protect our body to dressing to showcase our body, our wealth and creative side. Led by some of the most fashion-oriented creatives to ever live, dressing in the modern world has become an exercise in ingenuity. Each fashion season is like another opportunity to raise a middle finger to nature and its unrelenting quest to kill us all. At the helm of this glorious celebration over nature has been various famous fashion designers. Through their genius, clothing has been redefined and will continue to be until the end of time. In this list, out of several scores of designers who have made their mark in the fashion industry, we will examine the top ten fashion designers who have cemented their places as icons in the industry. 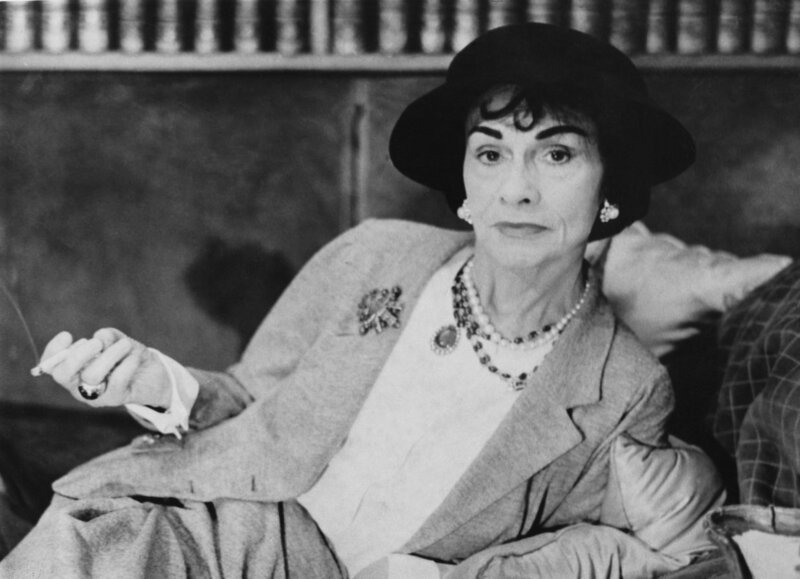 Hardly can anyone say they are unfamiliar with the double C that is the Coco Chanel brand. It is the brainchild of Gabrielle Bonheur Chanel who is often referred to as Coco. The French fashion designer has led some of the biggest revolutions in the fashion industry through her practical designs that are infused with modernist styles. Her work, which included breaking the cycle of corseted designs for female clothing is one of the defining works of her career which lasted over 60 years. From jewelry to handbags to fragrance, her designs are iconic works of art that defined generations. Her fragrance, Chanel No. 5 is still considered one of the greatest fragrances in the world. The extent of the influence of her work on the fashion industry during and after her lifetime put her on Time magazine’s list of 100 most influential people of the 20th century. She may have died in 1971, but her legacy lives on. Armani clothing may not have been the first mention on this list of the most famous fashion designers, but it is the very definition of high-powered clothing for men. Born in Italy which is one of the ancestral homes of fashion, Giorgio Armani is the brain behind the brand and his designs of clean tailored lines have helped him to a personal fortune of $8.1 billion. The man considered the greatest designer of all time in Italy is the founder of Armani which he established in 1975. Giorgio became a designer in the mid-60s after unsuccessful attempts at becoming a medical doctor. His designs for the ready-to-wear section of male wears made him one of the most sought-after designers in Italy before he went on to establish his own company. Since he became an international success, he has influenced the industry in so many ways, including defying the ban on models who have a body mass index of under 18, as against the thin model body style that had defined the industry for many years. New York is perhaps the most art-oriented city in the world. So, it is befitting that one of the world’s most creative designers, Calvin Klein was born in the same city. His brand, which is eponymously named after him is one of the biggest names in male and female clothing. Since the establishment of the brand by the charming Calvin Klein in 1968, his designs have permeated several aspects of human clothing. From underwear, suits, shirts to jewelry, watches, and perfumes. A graduate of the New York Fashion Institute of Technology, there is no better way to describe Calvin Klein but a giant of the industry. Through his rivalry with another iconic designer, Ralph Lauren, he has grown a fashion empire that has earned over $700 million. One of his most iconic designs is the tight-fitting jeans. Nothing says you are an icon more than the murder of your brother making the roster of Hollywood productions. Donatella Versace‘s brother, Gianni Versace’s murder was made as the plot of the second season of American Crime Story. Before she took over the Versace company after the death of her brother who was the original brain behind the brand, her name was already in the industry for the brand Blonde, a perfume. Since she took over the brand, she has taken the Versace name onto greater heights, making bold changes like becoming the first designer to use celebrities as models for her work. Her ruthless expansion methods have also made her one of the famous fashion designers and company leaders in the world. Sometimes all that defines a brand is the logo, the symbol of excellence on everyone and anyone that wears it. That is what Ralph Lauren’s designs achieved with the Polo logo. One of the world’s foremost designers who is a native of America’s home of art, New York has been at the forefront of the fashion industry since he established his company in 1967. From fragrances to clothing, his company has become one of the biggest fashion houses in the world, a level of success that has earned Ralph a net worth of $7.2 billion, making him the 91st richest person in the United States of America. If fashion is a monument hoisted on three-pronged legs, and two of the legs are America and Italy, the third leg is France. The country has made itself one of the world’s biggest destination for fashion ideas. This reputation has been created and maintained by one of the world’s top designers, Christian Dior. He began to make a name for himself post World War II. 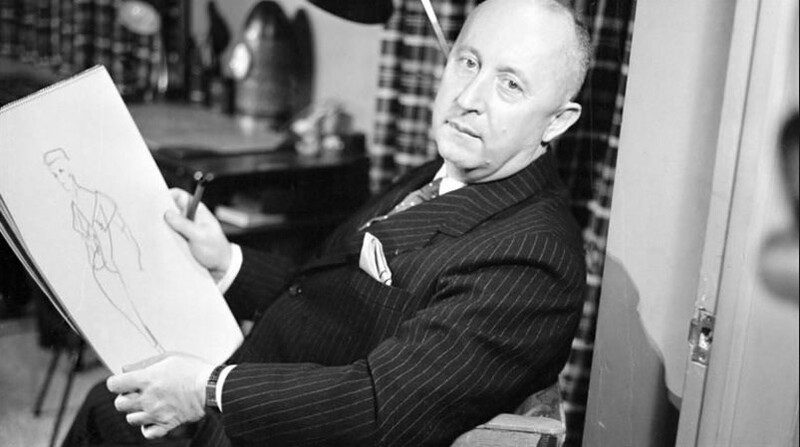 His ideas revolutionized female dressing, starting with his first Dior brand designs in 1946 called Corolle. Through his work, France, specifically, Paris became the capital of fashion in the world hence the honorable mention as one of the most famous fashion designers in the industry. Another French genius, Yves Saint Laurent made his name in 1966 as the designer of the power dressing that has remained a stable of fashion among powerful women in the world to date. Considered one of the leading designers to come out of the 20th century, his designs made ready-to-wear female fashion a thing of elegance and comfort. His other notable accomplishments include being one of the designers to use non-white models. His fashion house, Yves Saint Laurent remains one of the biggest brands in the world, which is why even though it’s been over a decade since his death in 2008, he is one of the famous fashion designers who became icons. Among the many famous fashion designers on this list, clothing has been the leading charge by which they earned their place in Fashion’s Hall of Fame. One man whose legacy was created from other items of fashion is Christian Louboutin, whose creations, specifically, female footwear have become a statement not only of class but of wealth and prestige. He started his own fashion home after years of working as a freelance designer for several fashion houses. Since then, Christian has made the red-bottoms design a signature that is coveted all over the world. His other designs cover handbags, makeup, and fragrances. Another legend from Italy, Roberto Cavalli made his name creating exotic prints and the time-defying sand-blasted look that jeans are known for. Born in Florence, Tuscany, his road to being a respected international designer began at his local Art Institute, where he began to wow hosiery factories in Italy. He is also an inventor who created a printing procedure on leather that redefined the production of patchwork on material till date. Before he started his own fashion house, he worked for big fashion houses like Hermes and Pierre Cardin. His Just Cavalli line is one of the most popular lines in the world, selling in over 50 countries across the planet. Finally on our list of the most Famous Fashion Designers is Prada which without a doubt, is one of the biggest labels in the world. Rich people from all works of life, from technology to Hollywood to sportsmen proudly wear the brand as a symbol of their wealth and prestige. The brand’s position in the fashion world is all the work of its creator, Miuccia Prada, who took over the company which had initially been started by her father, Mario Prada. The Italian billionaire has elevated the brand to the point of getting named as the 75th most powerful woman in the world by the popular magazine, Forbes. Her famous designs include handbags, fragrances, and clothing for men and women. One of the leading factors for the brand’s growth under her was the introduction of the ready-to-wear collection for women, which was branded, Miu Miu. The collection which was designed to be cheap but classy made Prada the lightning any average man or woman could catch in a bottle. The success of the line, which was named after Miuccia’s nickname has helped her to a net worth of $2.7 billion. She is married to another notable name in the fashion world, Patrizio Bertelli and she is the mother of Lorenzo Bertelli, who is an Italian rally driver.